During the summer school, Ceòlas organises transport from airports and ferry terminals in Uist & Benbecula. Plane: see Loganair. Flights direct from Glasgow to Benbecula, and options from Edinburgh. This option is more expensive, but the quickest and easiest method. Train: see ScotRail. You can travel by train on the West Highland Line from Glasgow Queen Street station to the ferry terminal at Mallaig or Oban (Barra). This is a spectacular journey and well worth taking the time out to enjoy. It has been called the most beautiful train journey in the world by more than a few travel reviewers. Bus: see Citylink. Buses run to all ferry terminals, Uig (north Skye) and Mallaig. Car: the shortest drive but the longest crossing by boat is to the ferry terminal in Oban, where you get a ferry to Castlebay (Barra) or to Mallaig to Lochboisdale. Alternatively, you can drive to Uig in the north of Skye (approx. 5 hours from Glasgow) and take the 1:45 hour trip to North Uist (Lochmaddy), then a drive south for just over 1 hour to Daliburgh. Booking the ferries beforehand is strongly recommended. Ferry: see Calmac. 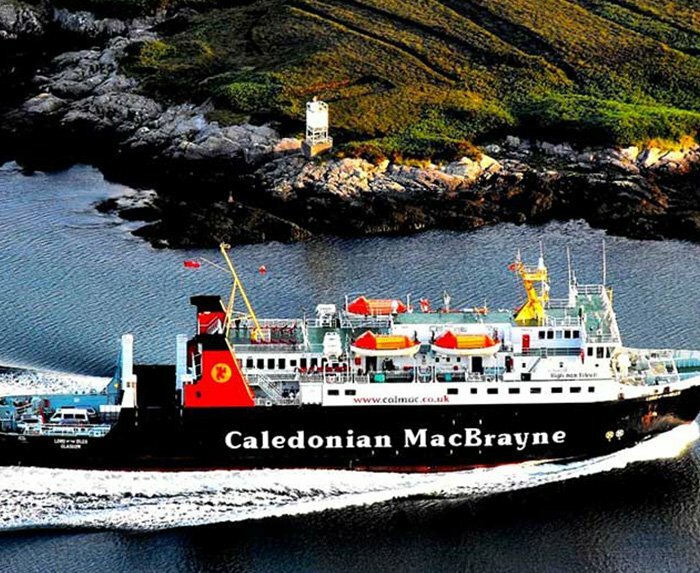 The longest ferry journey is Mallaig to Lochboisdale; the shortest is Uig (north Skye) to Lochmaddy (North Uist). The Oban ferry only sails to Castlebay. Ferries are the general mode of transport used and are the cheapest option. However, they are growing increasingly busy and pre-booking is strongly advised. Arriving in Scotland: if you are traveling from a European or International destination the best arrival airport for the UK is Glasgow International. The second-best option is Glasgow Prestwick, located about 25 minutes’ drive from Glasgow International. There is also Edinburgh Airport 1 hour east of Glasgow. A bus service runs between the two Glasgow airports and a bus to Edinburgh City. You can travel on to South Uist in a variety of ways (see Visit Hebrides website for further details including travel maps). Whatever way you choose to travel to South Uist, pause, do take in the beauty of Scotland, the wildlife, the flowers, the fresh air – and relax, you won’t have the time when you get to Ceòlas! Ceòlas provides a dedicated minibus service for participants attending classes and many evening events. The bus will pick you up from the airport, ferry terminals, and your accommodation on Benbecula, South Uist and Eriskay. There is also an inter-island bus service. There are taxi services in South Uist, the contact information for which will be in your student booklet. If all else fails, people will often stop to give you a lift if you are stuck!